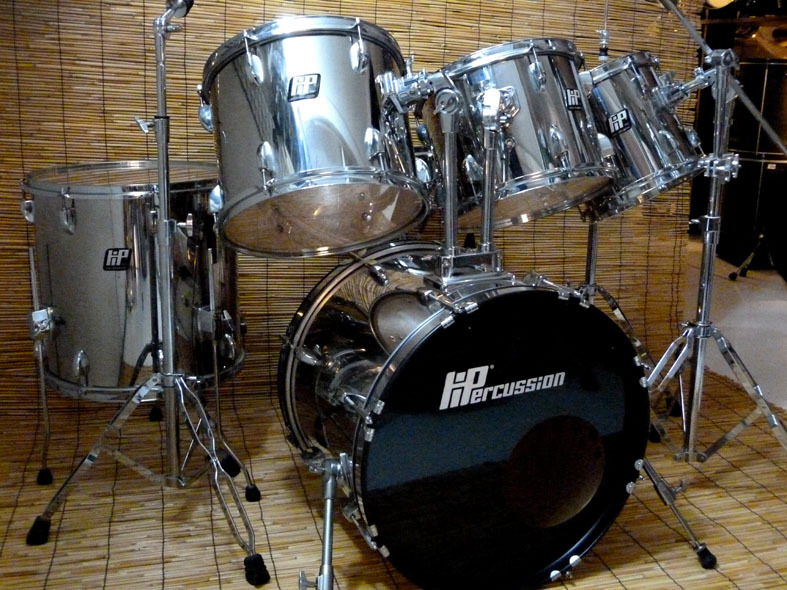 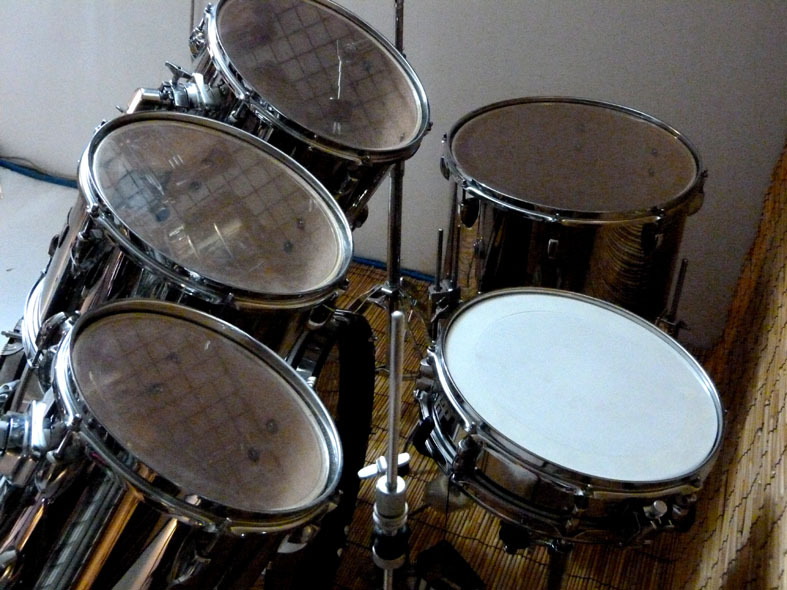 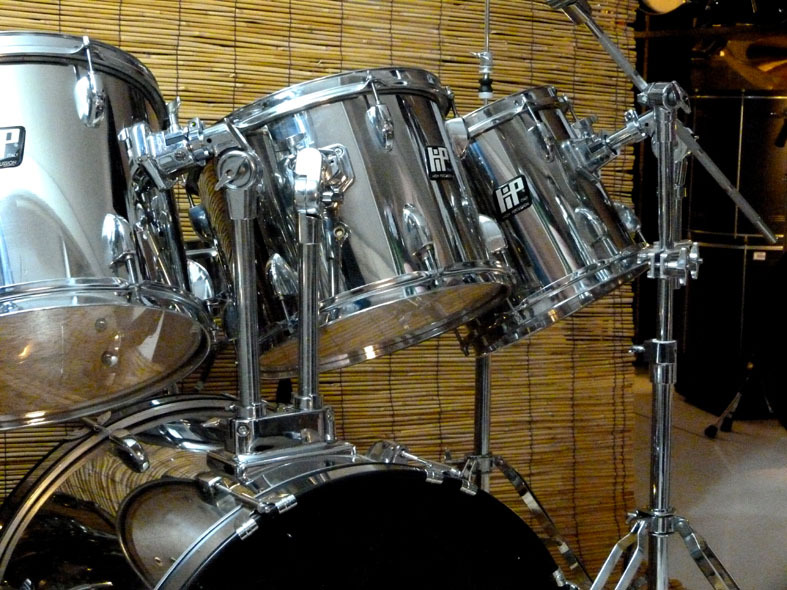 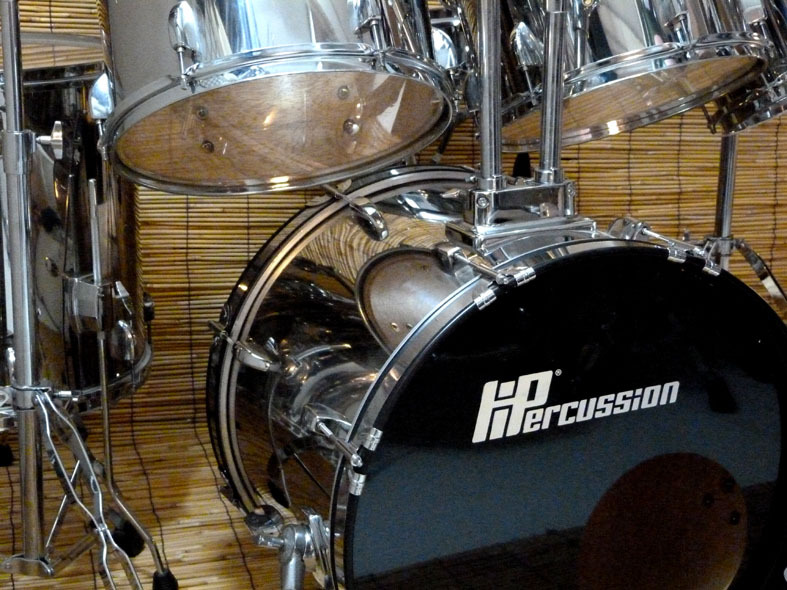 Hipercussion drum set, 6 elements, funished with 4 high quality stands. 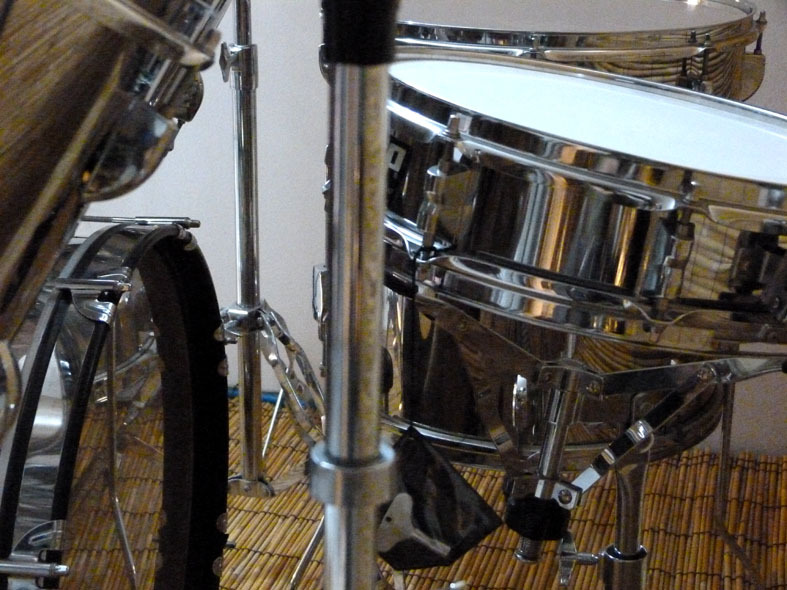 20" bass drum, 16" floor tom, 13"+12"+10" toms, 13" metal snare drum. 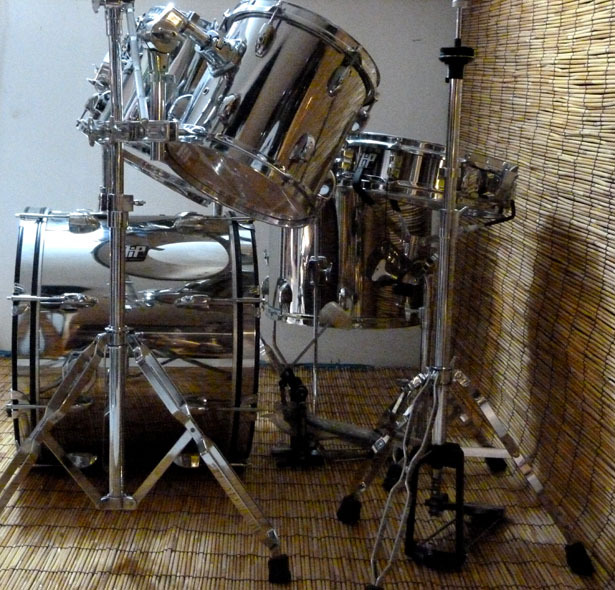 Peropok wood covered with a chrome-metal sheet.